Geeta Manishi Shri Swami Gyananand Ji Maharaj considers Shri Krishna ji to be the Supreme God, whereas Shri Krishna ji repeatedly says in Shrimad Bhagavad Gita that there is some other Supreme God. Likewise in Shrimad Devi Bhagwad (Durga) Puran, Vishnu ji addressing his mother Goddess Durga claims that he is in life and death. 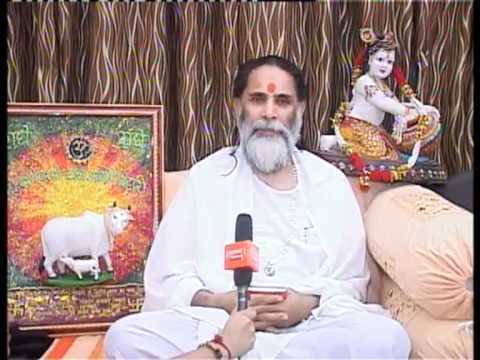 Vishnu ji (Krishan ji) himself says that he is not the Supreme God. This proves that because Geeta Manishi Swami Gyananand Ji considers Krishan ji to be Supreme God, he does not have the knowledge about the Supreme God and is thus not a complete saint.